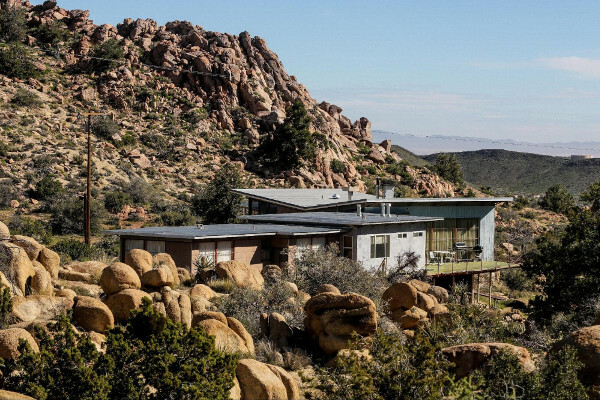 The lodging at the Burns Piñon Ridge Reserve was the former home of the Burns family who sold the property and home to the University. 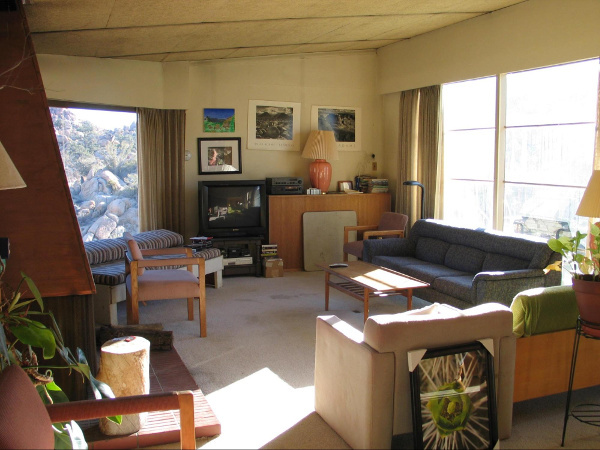 Bruce Burns designed and built much of the home himself, optimizing views with carefully placed windows, creative cabinetry, and threading his own pipes and bolts. The main bedrooms have been converted to dorm rooms to accommodate the Reserve’s primary user groups. 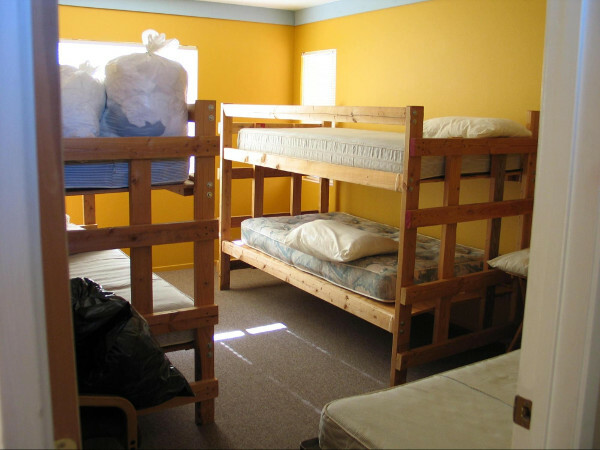 This includes 17 beds among 8 bunks and three rooms. There are two bathrooms, including one shower, in addition to a shower room with two private stalls. Please bring personal linens/sleeping bag, pillow, towels, and toiletries. There is a washer/dryer for laundry. A limited number of cots are available for sleeping out on two spacious decks. 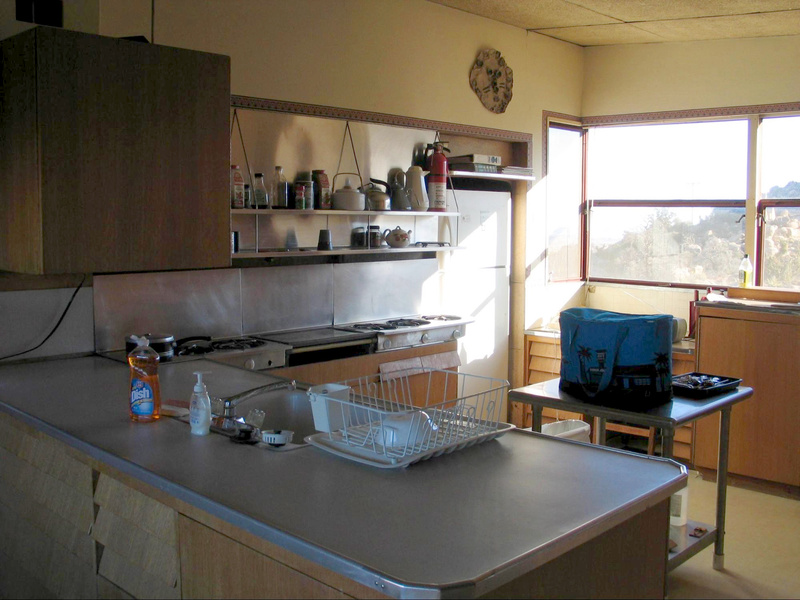 There is a fully functional kitchen with refrigerator, hot and cold water, gas range, and cookware, but until renovated it can be tight for larger user groups. A trailer comfortably accommodates a single user and is a 2 minute walk from the main house. It has electricity, a single bed, small sink and table, stove top, refrigerator, and a space heater. A shade structure extends over the trailer and beyond the entrance. There is a small shower, but it may be more comfortable to use the larger showers at the main house. A few scattered sites near the house and trailer are available for tent camping. Water can be obtained at the pumphouse located along the road between the entrance gate and the campground. A short length of hose in the pumphouse is attached to a valve. Just turn the valve and water will flow from the hose. DO NOT TOUCH ANY OTHER VALVE OR ANY ELECTRICAL SWITCH IN THE PUMPHOUSE. The pump does not need to be turned on in order to get water from the hose. Be sure you shut off the valve for the hose before leaving. Please keep the door of the pumphouse closed. A pit toilet is located a few steps south of the campground. A small scoop of lime may be applied after each use to help decompose waste and reduce odors. Please keep the lid on the lime container and the door to the toilet closed to prevent animals from getting in. Two picnic tables are available for use, but there is no shade structure. The main house has electricity and numerous wall outlets. There is central heating, but no air conditioning. Multiple windows in each room and several mobile fan units help to cool the house. A landline phone is available in the main house. This is the only phone line for the entire Burns Reserve so please limit use to emergencies or other important business. Cell phone reception on the reserve is spotty, but full coverage can be gained a few miles away in Yucca Valley. Wireless internet service is also available near the main house. The network password is written on the router on the desk in the living room.